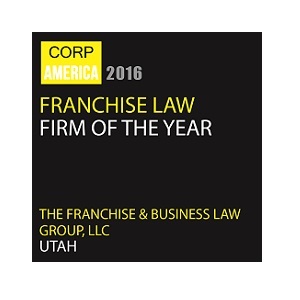 The Franchise & Business Law Group, LLC was founded on the principles of dedication, expertise and providing client-focused and superior legal services. Because we have taken the time to concentrate our practice on franchise law and business law, our clients benefit from a wealth of focused experience, training and practical knowledge that is tailored to each client’s needs. With the Franchise & Business Law Group, you will find partners and advocates in building your business, and in addressing your needs now and down the road. Our dedication to our clients has translated to clients who have been with our firm and our attorneys for decades -literally -and we are frequently referred to by our clients as their trusted “partners.” We build relationships for life and are fortunate to have some of the foremost and nationally recognized legal minds in franchise law. We also understand how to be cost conscious. We pride ourselves in offering first class large firm service without the large firm price tag. We take the time to know you and your business needs, and the vision of your business. We understand that no two companies, even in the same industry, are the same. As such, we do not take a one-size- fits-all approach, instead opting to spend the time to truly understand you and your business. No matter your business size, from start-up to large business, and no matter where you are located, from St. George to the Silicon Slopes to Logan, our attorneys can guide you through the often complex and difficult legal needs you and your business will face. Exceptional legal work is what our attorneys and legal team provides. The team at The Franchise & Business Law Group provides the largest franchise-dedicated team in the area with experience you will not find anywhere else.